Our mission is to host exciting competitive tournaments and professional development workshops that showcase innovative STEM content to students and teachers throughout the United States. A student can join by filling out an application form and being accepted as a competitor or team member. 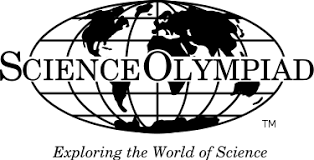 Science Olympiad meets every Wednesday during Power Hour and will meet on certain days after school later in the year. We plan to prepare for competition for UAH this school year. Fifteen students are allowed to compete and the rest of the club consists of team members or future competitors.